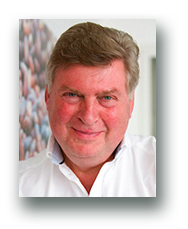 David’s career has encompassed product brands, retailing, consultancy, healthcare and the charity sector. He currently Chairs of both NHS Surrey and NHS Sussex and The Fairtrade Foundation. He has worked across many teams spanning listed businesses through to emerging social enterprises. With 30 years working in wide and varied range of consumer markets he has direct experience of Board level responsibility for sales, marketing and buying functions in blue-chip organisations such as Courage, Boots and Halfords. The common thread throughout David’s career has been focussing on customer needs to shape organisations and drive individuals and team performance. For over 16 years of David’s professional career he had a mentor and a friend who supported and guided him. Sometimes meeting frequently at others the gaps would be greater. David gained great value from each session and observes that senior or CEO roles can be the most exhilarating fun and the most isolated roles in organisations. David’s style is supportive, honest, enthusiastic, non-judgemental and challenging where it helps. He believes that individuals and teams in any organisation can perform more effectively and importantly, enjoy their work more with support. Performance is rarely solely to do with individual’s abilities and a lot to do with how they relate to organisations and peers and how well they understand the perceptions they create. Inexperienced leadership can result in underperformance and a decline in corporate confidence. David believes that a critical obligation of leadership is to support individuals and teams to perform at their best.